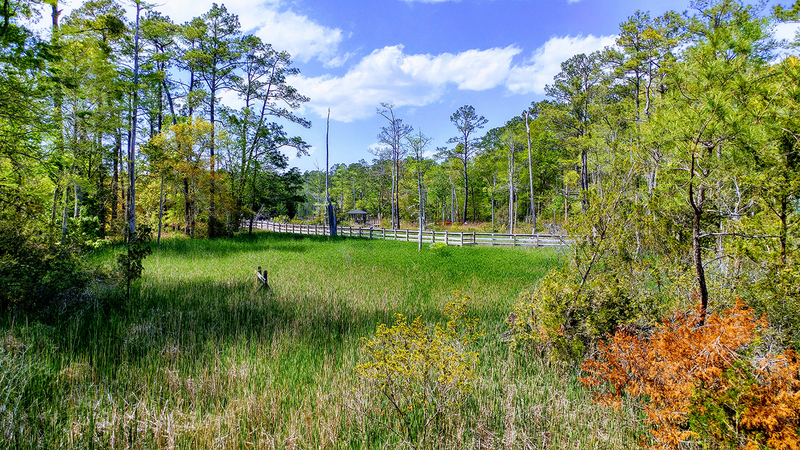 Amid acres of shady woods of longleaf pines and live oaks in beautiful RiverSea Plantation is our newest cottage community, The Cottages at RiverSea. Here lush parks, flowering trees and shrubs, meandering trails, and winding streets lead you gracefully through this community and gently toward the enchanting Lockwood Folly River. Its waters, fresh from Green Swamp Preserve, flow southward and empty into the Atlantic Intracoastal Waterway until they reach the magnificent Atlantic Ocean. Joy dwells here in RiverSea. It’s nature’s wonderland and host to a rich ecology and vital habitat along the Atlantic Flyway—a migration route for birds and other species. Discover this hidden gem where arts and crafts architecture commingles with nature forever preserving the land’s pristine beauty. Easy to get to, RiverSea Plantation is centrally located in southeastern Brunswick County, midway between Wilmington, NC, and Myrtle Beach, SC. Just off Hwy 17, aka, the “Coastal Corridor,” this region is treasured for its natural beauty of sprawling countryside, scenic winding rivers, vast marshes, and pristine ocean beaches. 15 miles east of RiverSea, you’ll find the charming seaside town of Southport, NC, named “Happiest Seaside Town” by Coastal Living. Southport is the definition of quintessential with a plethora of local and antique shops, dining options, historic homes lining its streets, and all manner of fishing boats along its shore. It’s also home to the legendary North Carolina 4th of July Festival, a patriotic celebration of epic proportions. Southport has been a popular filming location for television and movies, including film adaptations of the works of novelist Nicholas Sparks. Just outside Southport, Brunswick County beach towns stretch for miles east to west. South-facing beaches are rare along the East Coast. They provide incredible opportunities for swimming, surfing, sunbathing, beachcombing, walking, relaxing, and days upon days of dramatic sunrises and sunsets. A short drive up Highway 17 lands you in the port city of Wilmington, NC. Named “Best American Riverfront City” by USA Today, you’ll enjoy its rich history and nearly unlimited shopping dining and cultural options. Wilmington is home to UNCW, USS North Carolina, Wilmington Hammerheads soccer team, and EUE Screen Gems Studios—the largest domestic TV and movie production company outside California. Head south instead of north along 17 and you’ll hit Myrtle Beach, SC – a mecca for golf with 540 acres of parks and recreation property, a multitude of shopping and dining choices, and a lively nightlife scene with a variety of entertainment venues. RiverSea is a total of 540 acres. It’s planned to be a 500 home community and has all infrastructure in place. 80 homes are currently built. 60 lots are available by The Cottage Building Company. This covers lawn care; common area maintenance; clubhouse with fitness room, swimming pool, tennis courts; RV and boat storage area.